When they arrived in Sudan, the family slept in a tent city, biding their time and fending off mosquitos and dysentery. But when Yafit and her younger sister became too weak to travel further, their parents left them behind, promising that they could join them once their strength returned. Time passed. Nothing happened. One night as they slept, a stranger came into their tent and nudged them awake. Thinking it was a dream, she boarded a truck and was whisked away to an airport. Next thing she knew, she was embracing her parents in the Promised Land. As a new immigrant who knew neither the language nor culture of her new country, Yafit faced significant hurdles to success, but she was scrappy and determined. She learned Hebrew, earned a degree in education and started teaching Hebrew to Russian immigrants in Ashdod. Her skill and spirit soon caught the attention of Federation partner the American Jewish Joint Distribution Committee (JDC). 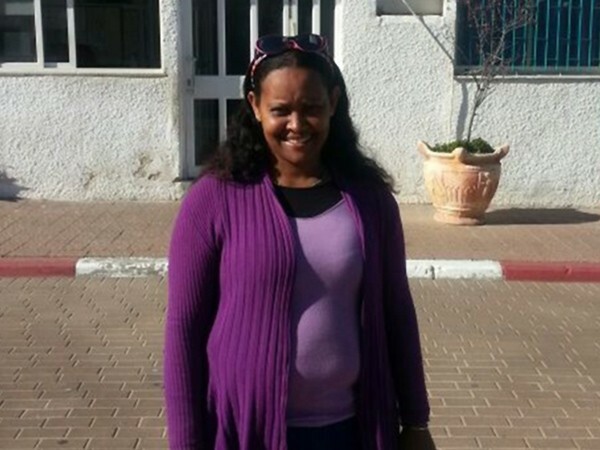 Representatives invited her to run workshops for their Eshet Chayil (Woman of Valor) program, which helps Israeli women from disadvantaged backgrounds enter the regional job market. It surprised no one that she soon rose to become regional coordinator. Now, as head of JDC’s Southern Region’s Career Advancement Program, Yafit works with dozens of Israeli women one-on-one, assessing their potential and helping them plan and reach goals for a better future. The program is a part of TEVET, JDC’s comprehensive employment initiative forged in partnership with the Israeli government. And it is in doing this work—helping others find success through wisdom she learned the tough way as an immigrant working mother of three—that Yafit truly shines as her own Israeli woman of valor.